DUA benefits people affected by the fires but who don’t qualify for regular state unemployment insurance benefits. Federal Disaster Unemployment Assistance (DUA) benefits are now available for workers and self-employed individuals who lost jobs or had work hours substantially reduced as a result of the devastating California wildfires (Butte, Lake, Mendocino, Napa, Nevada, Orange, Sonoma and Yuba counties). Governor Edmund G. Brown Jr. announced and the California Employment Development Department (EDD) confirmed this news yesterday. DUA provides temporary unemployment benefits to people whose jobs or work hours were directly impacted by the fires. The White House declared a major disaster in California on October 10, which paved the way for DUA benefits for people affected by the fires but who don’t qualify for regular state unemployment insurance benefits. Important: The deadline for filing claims is November 16, 2017. Affected individuals are encouraged to apply for DUA through the EDD. The fastest and easiest way for new claimants to apply for DUA is to use EDD’s online application, “eApply4UI,” which is available in both English and Spanish. Worked or were self-employed or were scheduled to begin work or self-employment in the disaster area. Can no longer work or perform services because of physical damage or destruction to the place of employment as a direct result of the disaster, or cannot reach work because of the disaster. EDD’s Disaster Related Services webpage includes more information for individuals and businesses impacted by disasters, including tax filing extensions for affected employers. The EDD also encourages individuals to visit the Governor’s Office of Emergency Services website for information on local assistance centers, which provide referrals for individual and public assistance. In addition, job seekers can find the America’s Job Center of CaliforniaSM location nearest them for access to job-search resources, job postings and training programs, as well as assistance with exploring career options, résumé and application preparation, career development and more. Job seekers also may connect with potential employers through CalJOBSSM, EDD’s online job-search system. 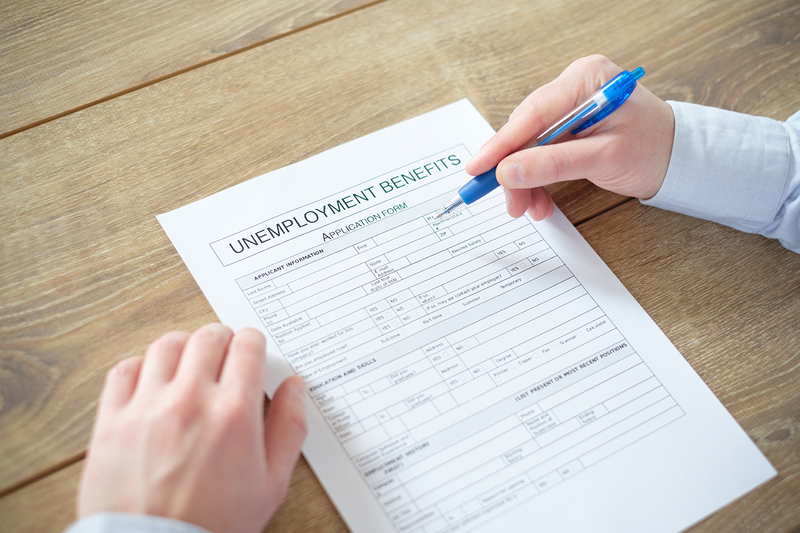 CalChamber members can read more about Unemployment Insurance in the HR Library. Not a member? See how CalChamber can help you.